MUA is a non-invasive and non-experimental medical procedure that has been used for hundreds of years to assist with common issues such as neck, shoulder and back pain, muscle spasms, carpal tunnel syndrome and fibrous adhesions. It involves the administration of a light anesthetic prior to the manipulation — generally stretching or moving — of the affected joint, muscle or area to help heal, increase mobility and reduce pain and inflammation. It is a cost- and time-efficient alternative to surgery, a non-invasive alternative to both surgery and injections, and more effective than traditional chiropractic treatment due to the physician’s ability to work on a larger area more deeply. State-of-the-art Manipulation Under Anesthesia with Fibrous Release Procedures [or MUA-FRP] Consultations and procedures in the San Ramon, San Francisco Bay Area, California. Specializing in the treatment of chronic back, neck and spinal pain, shoulders, hips and knees. Most people find MUA-FRP to be the best solution to chronic or stubborn issues that cannot be treated by traditional chiropractic practices or that may not be serious enough to warrant surgical intervention. Leading MUA physician Sarbjit “Sarb” Dhesi, D.C. has been performing these procedures since 1999 and has been teaching, proctoring, advising and developing the procedure and protocols throughout his career. 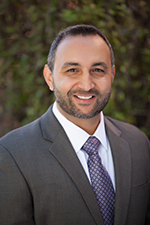 Read more about Dr. Dhesi and his background with Manipulation Under Anesthesia.